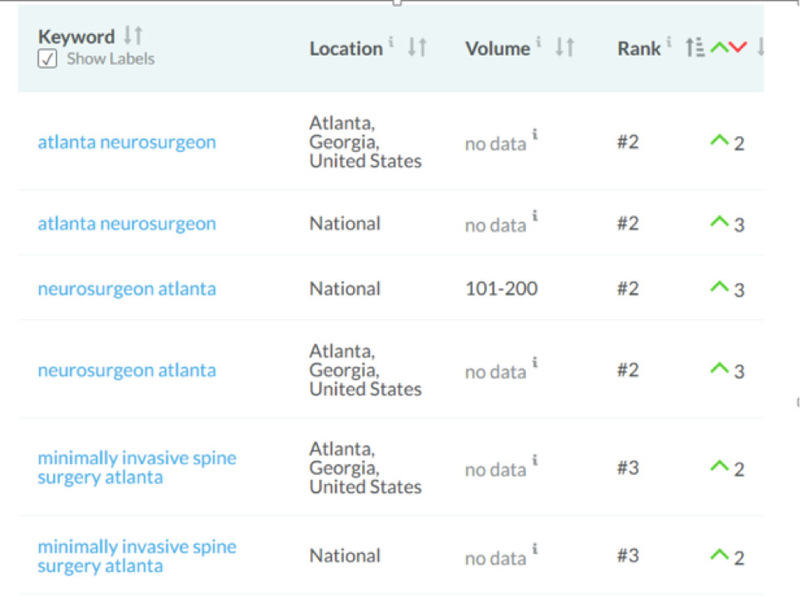 Atlanta’s leading neurosurgery practice needed a strong marketing mind to help them expand their brand and reach. 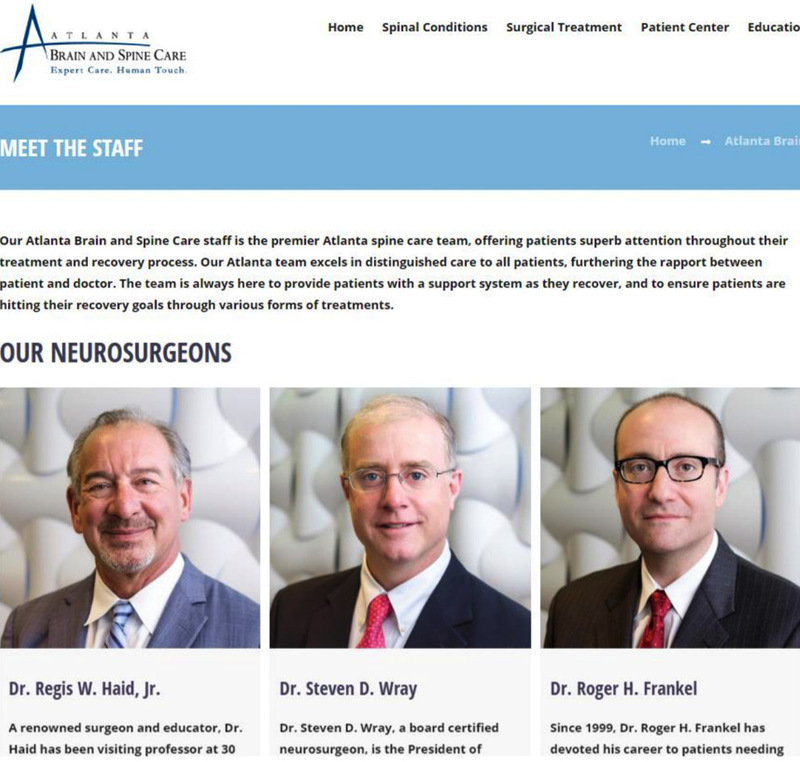 Since their inception in 2003, Atlanta Brain and Spine Care has established itself as the leader in neurosurgery practice in the metro Atlanta area. Their team offers patients access to some of the world’s most advanced surgical treatments and procedures. The practice has been recognized by U.S. News & World Report and Atlanta Magazine. Still, the team at Atlanta Brain and Spine Care felt they should be seeing greater patient growth. They knew it was time to turn to marketing specialists with an expertise in the medical field. They turned to the Cardinal flock. 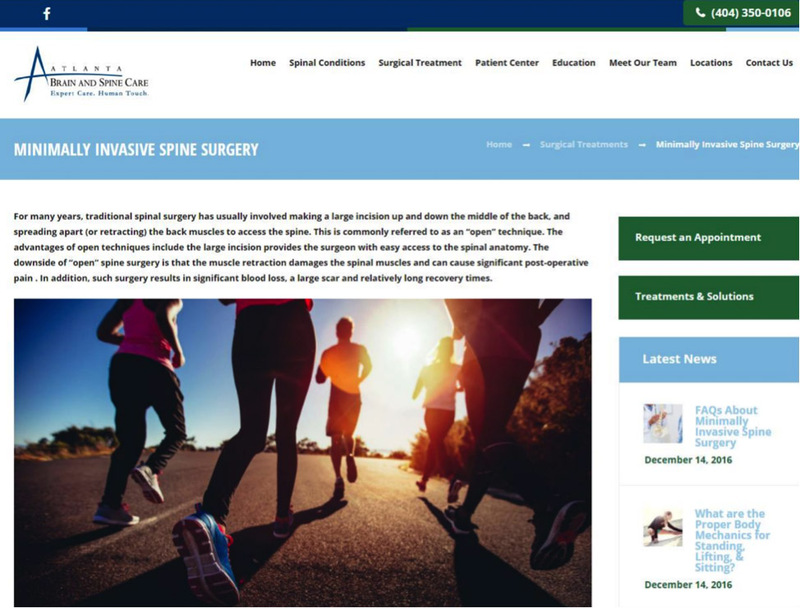 While we knew we’d have to embark on a multi-channel approach to the client’s marketing, we were also aware that, in the end, our aim was to drive online prospects to Atlanta Brain & Spine Care’s website. That’s why one of the first steps we took was to redesign and optimize the client’s site. Our goal was to build a site that was both search engine and user-friendly. Based on our research and expertise in the medical field, we’re also well aware of how important it is for medical facilities like Atlanta Brain & Spine Care to highlight their staff. Patients who are in need of the types of services our client offers want to know who they’re entrusting their health to. We built out and developed our client’s staff pages to make it easier for digital audiences to feel like they could “get to know” the team before they ever walked through the doors. Highlighting the client’s medical team is what we like to call transparency, and it’s what helps build and nurture long-lasting patient-facility relationships. 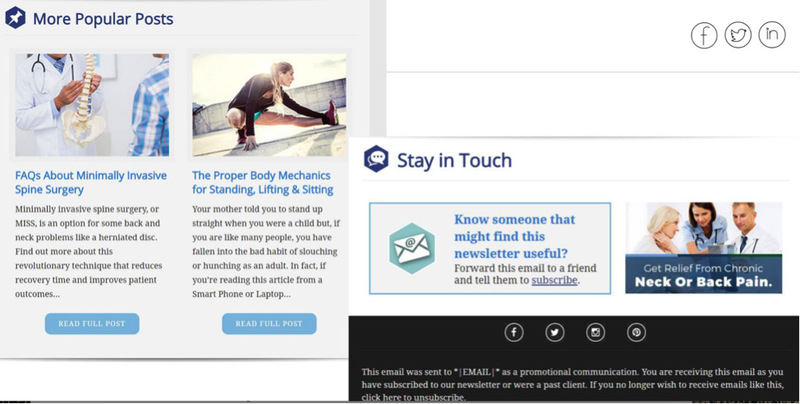 So we took this transparency to another level through content marketing. Content marketing based on data is an incredible way to connect with audiences who are most likely to convert into patients. In addition to promoting this content across the web and on social media, we also created a Neurosurgery Newsletter that’s delivered to the practice’s list of potential referring physicians in order to increase physician referrals. 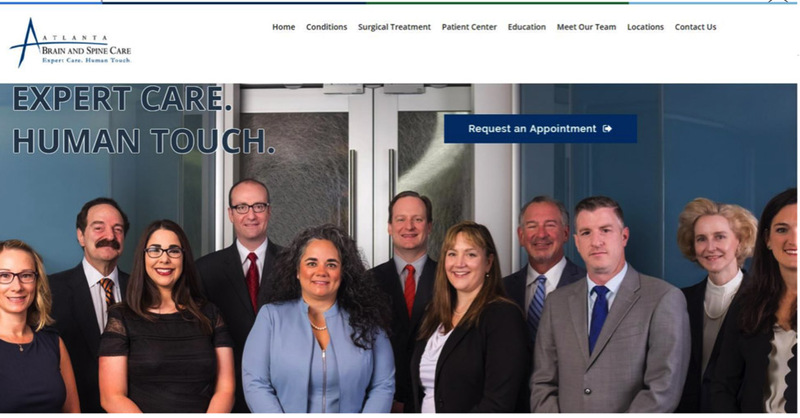 When it comes to marketing for a medical practice, one thing is certain: reputation is everything. Prospective patients may be impressed with the look and feel of a website. They may appreciate transparency and the helpful content found on a blog. But they’re likely not going to convert unless the doctors on staff have positive reviews online. While members of our team redesigned the client website, optimized their social channels, and began a rigorous content marketing campaign, our reputation management specialists got to work getting more positive reviews for each of the team’s practitioners. Because we specialize in marketing for medical practices, we have an in-depth knowledge of how to get positive reviews posted across the web. This type of industry knowledge allows us to deliver fast results for our clients. In the case of Atlanta Brain & Spine Care, we developed a strategy that targeted satisfied past patients – asking them to review the center – as well as created a strategy that ensured that new and incoming patients who are satisfied with our client’s care are asked, directly, to make a review and know, exactly, how and where to place those reviews. Also, because of our in-depth experience with medical review sites, we were able to optimize each doctor’s online profiles to ensure that prospective patients liked what they saw regardless of which rating site they stumbled upon online. 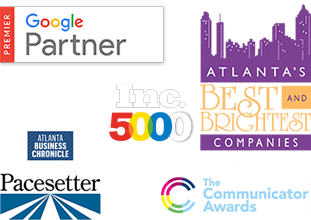 All of this work, which we continue to manage to this day, has led Atlanta Brain and Spine Care to enjoy tremendous growth across each of their locations, including a 325% increase in leads and 6 more surgeries per month than before they partnered with Cardinal.